In the OCAD Course Setting module, you can export your courses as KMZ files and watch them later in Google Earth. KMZ files can contain both vector and raster objects. Originally, this tool was developed for Trac Trac and their application O-Track. O-Track is a service which makes tracking, viewing and sharing orienteering easy and fun for both beginners and professionals. – Be sure your map is georeferenced and a coordinate system is set. – Choose the Courses (KMZ) command from the Export submenu of the Course Setting menu. – Select the desired extent and click on Export. Ctrl key or click the Select all button to select all courses/classes. All courses/classes will be saved in the same KMZ file. – Click on the exported KMZ file. Google Earth will start automatically. You will find a folder for each course in your Temporary Places with the course maps and all controls. A PNG file will be created for each course. The controls will be displayed by placemarks. See also or Wiki for more information. This entry was posted in OCAD 11, OCAD 12, OCAD 2018 and tagged Course Setting, Google Earth, KMZ, Orienteering Map Making, Professional Map Making on May 23, 2018 by OCAD Team. OCAD is a Windows software. However, OCAD runs on Ubuntu using Wine. 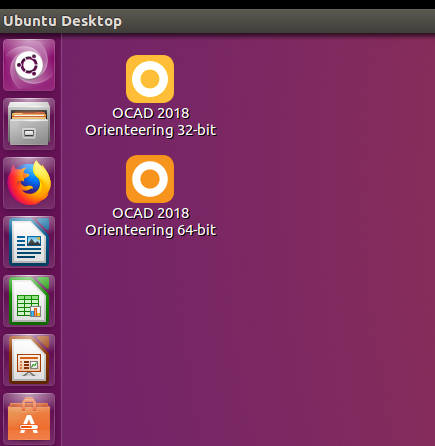 We installed Wine on Ubuntu and run OCAD afterwards without any problems. Wine is a free software and enables Linux users to run Windows applications without a copy of Microsoft Windows. Install Wine from the Ubuntu Software Center. 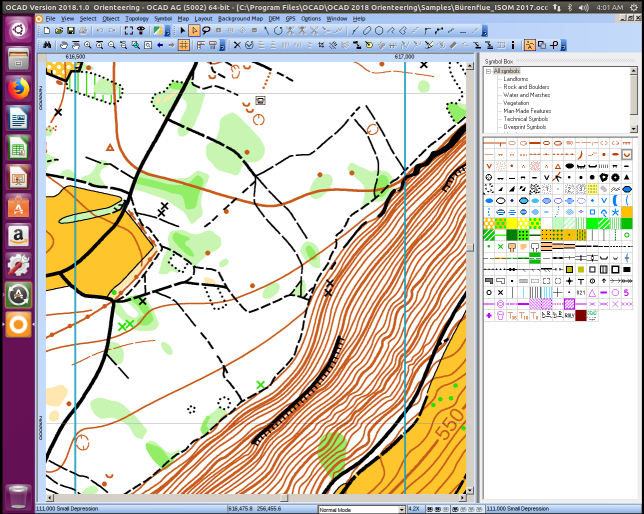 This entry was posted in OCAD 11, OCAD 12, OCAD 2018, Uncategorized and tagged Course Setting, OCAD 12 Orienteering, Orienteering Map Making, Professional Map Making on May 16, 2018 by OCAD Team.